B-cell—Makes antibodies that help the body identify foreign substances in the body. The sooner the substance is identified, the sooner the immune system can work on eliminating it. 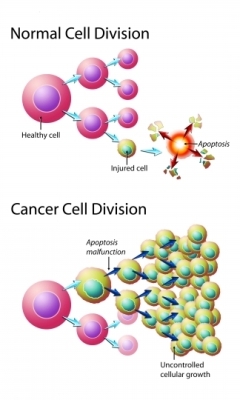 T-cell—T-cells have a number of jobs including destroying invading bacteria and viruses, stimulating an immune response, or slowing an immune response. Natural killer (NK)—NK cells defend the body against invading viruses and cancer cells. Indolent—Slow-growing, often without symptoms. Indolent lymphomas can be managed, but are generally not curable. Aggressive—Fast-growing, often with symptoms (sometimes severe). 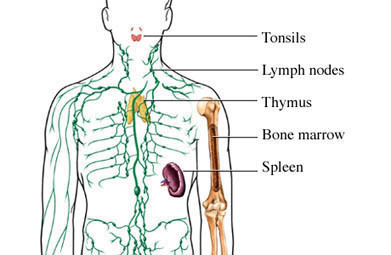 Aggressive lymphomas can be treated and are generally curable. What are the risk factors for non-Hodgkin’s lymphoma?What are the symptoms of non-Hodgkin’s lymphoma?How is non-Hodgkin’s lymphoma diagnosed?What are the treatments for non-Hodgkin’s lymphoma?Are there screening tests for non-Hodgkin’s lymphoma?How can I reduce my risk of non-Hodgkin’s lymphoma?What questions should I ask my doctor?What is it like to live with non-Hodgkin’s lymphoma?Where can I get more information about non-Hodgkin’s lymphoma? NHL subtypes. Leukemia & Lymphoma Society website. Available at: http://www.lls.org/lymphoma/non-hodgkin-lymphoma/diagnosis/nhl-subtypes. Accessed March 30, 2018. Non-Hodgkin lymphoma (NHL). EBSCO DynaMed Plus website. Available at: http://www.dynamed.com/topics/dmp~AN~T116014/Non-Hodgkin-lymphoma-NHL. Updated January 9, 2018. Accessed March 30, 2018.